These transparent .png files are qite large..here shown at 10% of their size. You can use them to make brushes or simply as an overlay layer and experiment with your blend modes :) I often use blend modes "overlay" "burn" or "dodge". 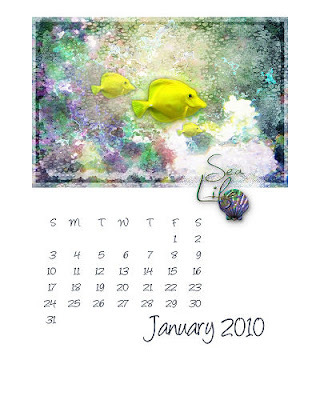 In my Calendar below, I have recoloured the text, selected and then overlaid with a pattern from the background of my reef image. I have made 2 different styles of calendar. ...one with week starting Monday and one with week starting Sunday. 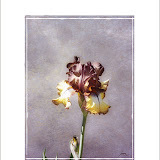 The images are 1600 X 2000 at 200 dpi and will fit on A4 or American Letter sized paper. I have successfully printed it out on semi gloss card. Grasps the ''salty sea air '' in desperation !! 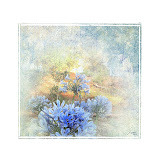 Great Judy, I love them!There is no end to your creative talent! 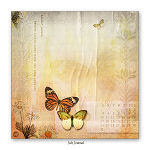 The calendar is breath taking and the word art will come in handy. thanks you. 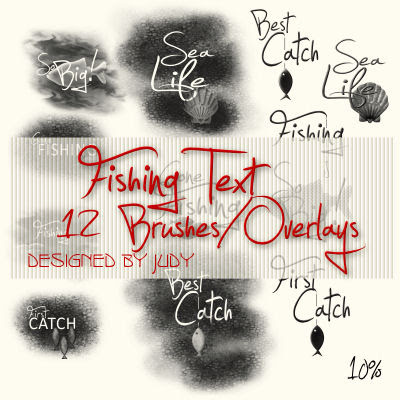 Love the brush overlays Judy. The calender is exceptionally lovely. Thanks. Judy, Judy I love them. Gorgeous brushes! And I love what you have done with then on your LO. Thank you so much for this Freebie. 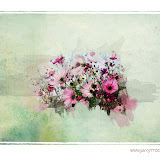 I want to let you know that I posted a link to your blog in CBH Digital Scrapbooking Freebies, under the Page 2 post on Feb. 05, 2010. Thanks again. Thanks again. All your work is elegant and inspiring.